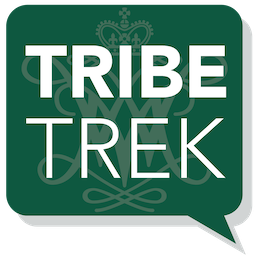 Explore the people, places, and events in William & Mary's history through a self-guided campus walking tour using TribeTrek. Developed by Swem Library's Special Collections Research Center, TribeTrek is a free mobile app that puts the history of the second oldest college in America in the palm of your hands. Learn about the history of campus buildings, sculptures and other sites through photographs, and use social media to share your stories for each site. As this site is an ongoing project, please check back periodically for further updates.